Texas representatives have filed legislation to start an overhaul of the the state’s Child Protective Services, following a crisis that has left thousands of kids at risk. 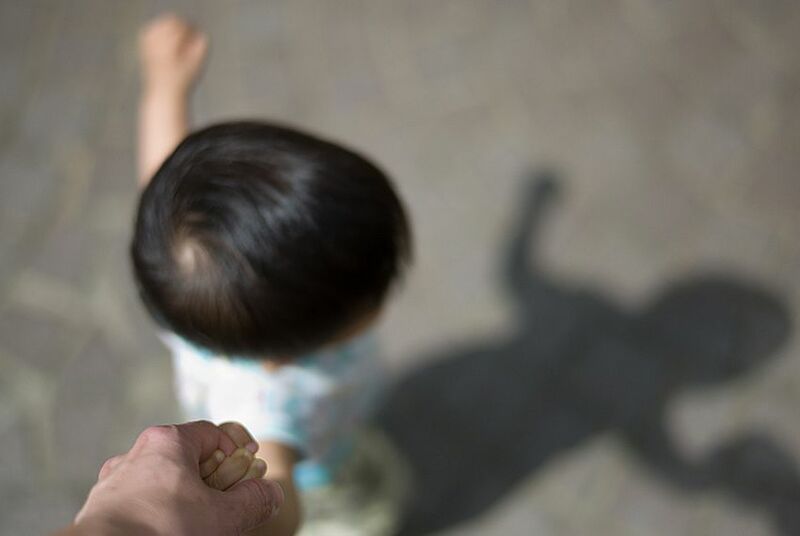 Facing calls to overhaul the state's embattled child welfare system, Texas House members have introduced legislation that would make it easier for relatives to adopt at-risk children, eliminate bureaucracy in Child Protective Services and strengthen local foster care services. Asked about the importance of the legislation, Straus spokesman Jason Embry noted the low bill numbers, which are typically reserved for high-priority legislation. “It is definitely significant, and it is not by accident that those House bills are numbers 4, 5 and 6,” Embry said. Numbers released by the Department of Family and Protective Services last October painted a dismal picture of the child welfare system. On any given day in the past six months, nearly 1,000 of Texas' "highest-priority" children — considered by the state to be at immediate risk of physical or sexual abuse — were not checked on even once by CPS investigators. The agency said it faced a $40 million budget shortfall in addition to overwhelming caseloads for its employees, rapid staff turnover and a severe shortage of high-quality foster homes. Lawmakers have already allocated $150 million to CPS on an emergency basis. DFPS Commissioner Hank Whitman has faced criticism for his budget requests and how the agency has used money from the last session. He said last month that every day, between 400 and 450 “priority-one” kids had not seen a caseworker within 24 hours. Whitman has defended his use of emergency funds on hiring more caseworkers and bringing in law enforcement support to help find missing kids. State Rep. Richard Peña Raymond, D-Laredo, chairman of the House CPS workgroup, said all three bills garnered broad support from the bipartisan group of 12 legislators. He said that other legislation is likely to come but that HB 4, HB 5 and HB 6 are the “cornerstones” of their recommendations. House Bill 4, authored by state Rep. Cindy Burkett, R-Sunnyvale, aims to lower financial barriers to kinship care, which places children with relatives or close family friends. Currently, there are just under 12,000 children in kinship care and nearly 30,000 in the foster care system. Burkett says research shows kinship care has better long-term outcomes for children compared to foster care because it allows kids to remain within their family structure. “This bill provides children with stability and permanency by placing them with a family member, and in the process, ensures that more children receive the love and care that is so vital to their upbringing. Many of these children have already faced a disturbing ordeal, and taking them away from their family often times exacerbates the trauma,” Burkett said in a statement. Although foster care families receive a minimum monthly stipend of almost $700 per month, relatives who opt to take in these displaced children only get $1,000 for immediate expenses, in addition to an annual reimbursement of up to $500 per child. HB 4 proposes changing the initial integration payment for kinship care families – those under 300 percent of the federal poverty level – into a monthly stipend that will be 50 percent of the daily basic care rate for foster care. It also creates another bracket for those between 300 and 500 percent of the federal poverty level, which will give them a one-time integration payment but not monthly support. House Bill 5, authored by Rep. James Frank, R-Wichita Falls, attempts to cut through bureaucracy and more reliably track children in the system. It makes CPS a standalone agency that reports directly to the governor. Frank said that the emphasis of the proposal is on allowing agencies to swiftly make the hiring and firing decisions they need to operate efficiently. House Bill 6, also authored by Frank, focuses on establishing strong relations between the state and local community-based foster care, which the bill says has effective accountability standards because it is monitored by community stakeholders and has led to better outcomes for children who are victims of abuse and neglect. “We run all our foster care out of Austin. Imagine if we ran all our school districts out of Austin. If we ran one big school agency out of Austin, it wouldn’t be very effective, especially when you have literally hundreds, if not thousands of agencies, around the state trying to help," Frank said. Those agencies currently have to go to Austin to coordinate, Frank said. The bill would streamline processes for these organizations. Frank said both bills he authored recognize the need for systematic change. In the Senate, Sen. Charles Schwertner, the Health and Human Services Committee chairman, has filed Senate Bill 11, under which the DFPS would implement a series of broad reforms, including reviewing and retaining abuse and neglect records for longer, and making sure CPS special investigators see residential child-care facilities abuse victims within three days. The early reviews of the House legislation included positive reactions from advocacy groups in the state. Katie Olse, executive director of the Texas Alliance of Child and Family Services, was encouraged by the cluster of bills, adding that the organization had not reviewed HB 5. HB 4 would “help families care for children and has safeguards in place to prevent misuse of this program and funding,” Olse added. Madeline McClure, CEO of child advocacy organization TexProtects, also complimented HB 4's aim to prioritize kinship care. McClure, who said at a rally earlier that this week that this session seemed to drum up the most bipartisan support she had seen for child welfare in the last two decades, also expressed satisfaction with the legislation in general, although the organization had not been able to review HB 6. McClure praised HB 5 for giving the DFPS commissioner more flexibility and said “DFPS is the only agency under Health and Human Services Commission where life or death decisions are made” and therefore requires direct oversight by the governor. Disclosure: TexProtects has been a financial supporter of The Texas Tribune. A complete list of Tribune donors and sponsors can be viewed here.